Harley and Jason Bradford in a picture from a relative's Facebook page. Documents reveal a toddler found unconscious in a pool alongside his dead baby sister tried to wake his mother before he drowned. Harley Bradford and her brother Jason Bradford Jr., were found unresponsive inside a La Mesa, Calif. swimming pool in May. 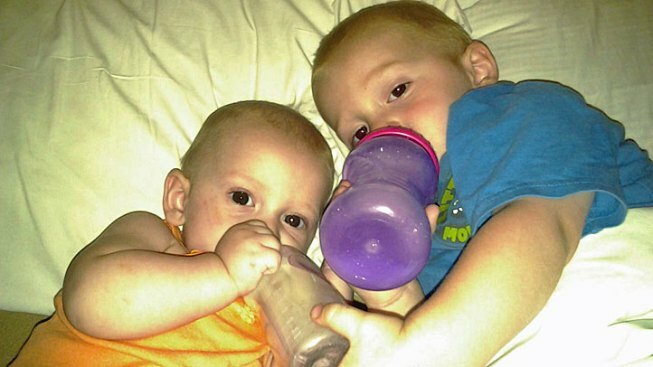 The 16-month-old Harley and 2-year-old Jason died despite efforts by emergency medical personnel. Their mother, Tassie Behrens, initially lied to officials about the location of the drownings in order to protect a large marijuana grow at the Sunset Avenue home officials said. On Wednesday, NBC 7 News obtained documents that show Jason had woken up his mother at about 8 a.m. on the morning of May 13 and asked her where Harley was. Investigators will present evidence to the District Attorney's office after two toddlers drowned in a La Mesa pool. When Behrens later awoke, she searched the home for her children and found them “lying face down in the swimming pool." A one-year-old girl had died and her 2-year-old brother was still hospitalized Monday night after both were found unconscious in a swimming pool. NBC 7's Dave Summers filed this report for NBC 7 News at 11 p.m.
Investigators seized marijuana plants and growing equipment from the home on Sunset Avenue and arrested Larry Dangelo, 44, in connection with the illegal drug operation. The medical examiner's report ruled the children's deaths as accidental drownings. Investigators have not filed criminal charges against Behrens. 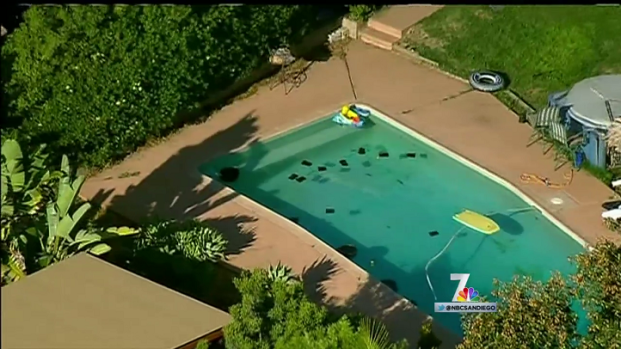 A medical examiner's report obtained by NBC 7 Investigates also reveals that the swimming pool was dirty and in disrepair. Investigators say their mother was asleep when her children fell or stepped into the pool that morning. 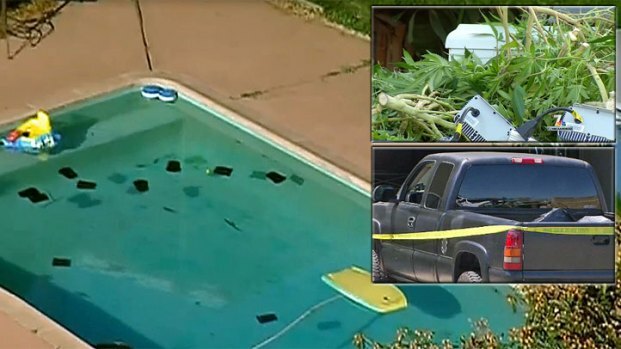 The medical examiner's report also confirms there was no child safety gate around the pool and the investigator smelled the marijuana when he inspected the pool area hours after the drownings. San Diego homicide investigators told NBC 7 News they were waiting for the autopsy report before making the decision on whether to file charges.